In August 2005, the Liberal Party provincial government voted unanimously to update the Dog Owners Liability Act (DOLA) with clauses that make it illegal to own, breed and/or transport pit bulls. At the same time, Animal Control Officers (ACOs) were given new powers that allow them to enter a property without a warrant, thus giving them more rights than an officer of the law. • They must be muzzled and kept on a leash no more than 1.8 meters long when in public or not on enclosed property. 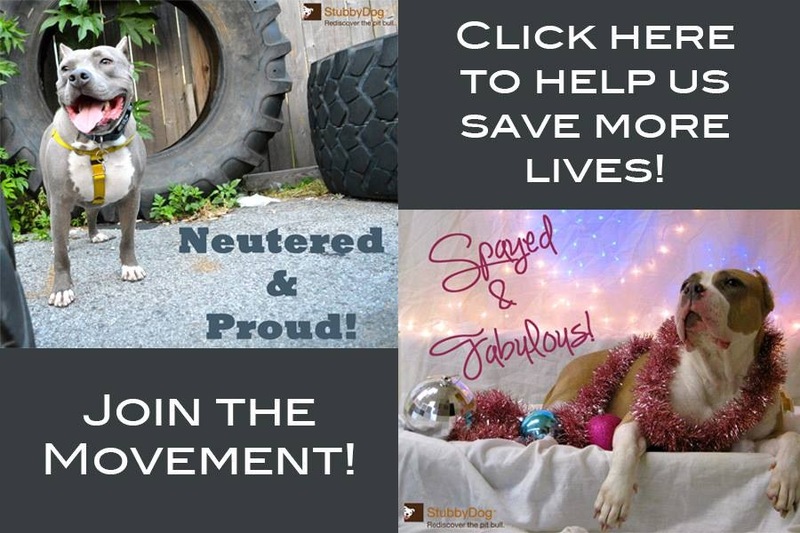 • They must be spayed or neutered unless a veterinarian certifies the dog is physically unfit to be anesthetized. • They will be automatically euthanized if a court finds they have bitten, attacked, or posed a menace, or if their owners are found to be in violation of the law or a related court order. 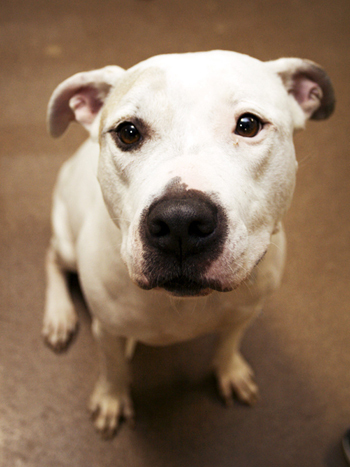 Now since this law is “breed specific,” what exactly is a pit bull? This is a fair question, especially since the Canadian Kennel Club, which is the equivalent of the American Kennel Club, does not even recognize a pit bull as a breed. Under the last description, countless mixed breed dogs have been seized and destroyed. It is open season in Ontario if your dog has short hair, a muscular build and a square head. Everything from Boxer crosses to Labrador mixes fall into this category. So basically, today in Ontario, an ACO, which we have recently proven in a court of law can have no more than a 45 minute online course in breed identification, can point their finger and deem your dog a pit bull, seize your dog from your property without a warrant and essentially have your beloved family member destroyed. How did this happen? A tried and true political formula was put into action in order to gain public support for the ruling party. Take a fringe element of your society that does not have a voice, demonize them, then create a problem with them as the source. You feed the media this information from sources that you control, but then you are the one who saves the day as you deliver the final “solution” by carrying out the following: visually identify the fringe element in public (muzzles), have special permissions given to an enforcement body (ACOs with no warrants), then silence the fringe element permanently (seize and destroy). Final solution delivered. This resulted in instant votes. This was the formula that the former attorney general cooked up and implemented: Baby Killer Dogs = pit bulls. Even though the head of the party, Dalton McGuinty’s family owned pit bulls, it was accepted, and the rest of the party followed suit and voted for this final solution. U.S. bite statistics and any other statistics they could find to support their cause were used from sources claiming to be authorities. The media ate it up and so did the public. By the time an election hit, everyone bought the lies and believed pit bulls were born evil, vicious, insane dogs bred by drug dealers. What about the true experts, where were they? Countless organizations, including the Ontario Veterinary College and its members as well as the Canadian Kennel Club who were adamantly against the law asked to be heard were not allowed to weigh in. The only group of “experts” consulted by the government was a dog walking association located in the attorney general’s riding (his local area). This poorly written, ill-conceived law, implemented by unknowledgeable politicians and being carried out by officers with little to no training (yet with more authority than police) now had power over our dogs’ lives. And the heartbreaking result? In the next article, we’ll introduce you to Brittany and Rambo, two real-life victims of the law and the reason Save Ontario Dogs came to be. Brittany and Rambo represent the majority of the dogs seized under our BDL: They are dogs who have not committed any incidents of aggression whatsoever; they belong to good, loving, law abiding and caring families; they are dogs who are not even so-called pit bulls. But since its inception, this law has been a recipe for disaster, and thousands of innocent dogs have paid the price with their lives, and families have been torn apart. Under the law, a belligerent neighbor only has to file a complaint that your dog is a “menace,” and if it resembles a pit bull or an ACO says it does, it can be seized and destroyed. As predicted, the amount of bite incidents and fatal attacks have not gone down in Ontario since BDL. On the contrary, the past six years have just been filled with utter heartbreak. Currently, representatives of all three parties of the Ontario legislative have tabled a bill to repeal the BDL clauses, called Bill 16, which was crafted out of Member of Parliament Cheri Di Novo’s Hershey’s Bill. She has long been an anti-BDL supporter. The second reading of Bill 16 is scheduled for February 2012. Both the opposition parties are in favor of the bill, so we truly hope that we will have a life-changing announcement for you in the future. There’s an error in here. The gov’t did no consult only one “expert.” I was asked to write a report. I did so and submitted it. Then I rec’d a call from the Attorney General’s office. She did not take the time to read the report. She asked me, “Are you for or against the ban?” I stated I was against the ban because it was not in the best interest of public safety. She thanked me for my time and hung up. Sorry for the typos. Didn’t realize the message would automatically send when I logged in. Thank you Yvette. We should have been more clear – what we meant by ‘consulted one expert’ was they took the opinion of one expert for their final decision. Many experts provided input but ultimately, they only used the opinion of one. Thank you Yvette. We should have been more clear – what we meant by ‘consulted one expert’ was they only took the opinion of one expert for their final decision. Many experts provided input but ultimately, they only used the opinion of one. @SaveOntarioDogs I didn’t mean to be critical. Just wanted to be upfront and public about my personal experience pre-DOLA. I was very offended at the time. Heck, I’m still offended. It was the defining moment when I knew DOLA was going to pass regardless of public input, regardless of expert opinion, regardless of the statistics from other geographical areas. Left a very bad taste in my mouth where politics and politicians are concerned. Or at least the McGuinty Liberals. @SaveOntarioDogs I presume you mean Prof Alan Beck of Purdue. He was the only person with any credentials at all who they could find to support the legislation and even he packed his statement with qualifiers. 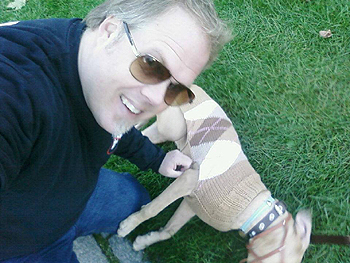 Dr Beck is an expert in the human-animal bond, he is not an expert on specific areas of canine behaviour or genetics. However, they needed somebody, anybody with academic credentials in order to window-dress the ban. Nice little article Ciaron, just a few quibbles. As always. Only because I’ve been there since the beginning. It wasn’t passed ‘unanimously’ by the Liberals. Many were absent that day, others were absent for the vote. Many members of the Liberal caucus were not in favour of the ban but the vote was whipped. It is not grandfathering when regulations specifically target an existing class – it is the exact opposite. What they meant when they kept saying ‘grandfathering’ was that they weren’t going to search for, and destroy, all ‘pit bulls’ as they did in Denver. However, given the extremely difficult regulations that allow an owner to keep their dog, plus the vagueness in describing a ‘pit bull’, that is essentially what is happening. I wish people would stop referring to that dog-walking service that appeared at Committee as an ‘expert’ organization. First of all, it was difficult to decide from their presentation whether they were for or against the ban, it was so poorly worded. Secondly, it degrades the term ‘expert’ when every twit who somehow has contact with dogs is declared an expert. The Committee hearings were just theatre, which was obvious at the time. They didn’t listen to anyone, that wasn’t the point of the hearings. We knew in August 2004 this was going ahead no matter what anyone said. There are many legal precedents in the US and Canada that disallow animal control officers as experts, largely because in order to qualify as an expert one must be able to measure performance through peer review, which obviously cannot happen when identifying ‘pit bulls’. There’s no such thing. Along with warrantless entry, reverse Onus is another huge reason why this law is so horrific. Under the Canadian Charter ciizens are innocent and must be proven guilty in a court of law but now, due to the newOntario Dog Owners Liability Act, citizens of any medium sized short haired mutt are guilty first and must prove innocence. It does not matter if one is a responsible citizen or how well trained or socialized a family pet is. One must endure expensive court costs to prove ones dog is not a breed that officially does not exist. If one considers that once in law, warrantess entry and reverse onus can then be used in other areas of legislation it is scary. The Ontario Court of Appeals said “the legislature does not make mistakes and must be enforced no matter how harsh, absurb or contrary to common sense”. Considering, the above and the “secret law” passed behind closed doors during the G20, current legislatures should be considered dangerous. Hopefully many will get off McGuinty’s “ban wagon” and get onto the “band wagon”. There is only ONE Solution VOTE these MONGRELS out of Government. This whole bunch should be charged with Animal-Abuse.. Thanks to the Authors and thanks to StubbyDog for featuring the Ontario situation. If anyone wants to read the testimony of the witnesses who testified before Committee you can find it here. IMO the OVMA(Ontario Veterinary Medical Association) testimony sums it up nicely.